For your convenience, we have provided some of our most frequently asked questions below. Don’t see what you need or still uncertain about a topic? Please don’t hesitate to contact Development Project Manager Brenda Kelley for further assistance. 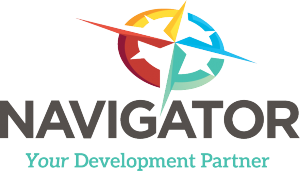 To determine the zoning district of your property, please review the zoning map and call the Business Navigator, or come to the Business Navigator Office at City Hall to view the zoning map. You will need the property address and/or the tax map number. What are the allowed uses on my property? Each zoning district has permitted, accessory, conditional uses or uses allowed by special exception. These are listed for each district in the City of Hartsville Zoning Ordinance. Please call the Business Navigator if you do not know the zoning district in which your property is located. What are the setbacks of my property? The required front, rear, and side yard setbacks vary between zoning districts. Setbacks are listed for each district in the City of Hartsville Zoning Ordinance. Home occupations are permitted uses in residential zoning districts; however, these must be clearly incidental and secondary to the use of a dwelling as a residence and not negatively impact the surrounding neighborhood. Home Occupations must meet all of the criteria as set forth in the City of Hartsville Zoning Ordinance. Does an accessory structure require a permit? An accessory structure is a structure customarily incidental and subordinate to the principal building and located on the same lot as the principal building. In no such case shall such accessory use dominate, in area, height, size, square footage, extent, or purpose, the principal lawful use of a building. Accessory structures that are less than 200 square feet on commercial properties and less than 120 square feet on residential properties do not require a building permit. However, all accessory structures require a zoning permit and must follow the setback requirements. Please contact the Business Navigator before erecting any type accessory structure. How far must my fence be from my property line and is a permit required? Your fence can be placed up to but not on or over your property line. It is recommended that you leave room between your property line and your fence for maintenance purposes. Fences require a zoning permit that shall be submitted and approved prior to erection. What is a sight triangle? A triangular-shaped portion of land established at street intersections in which nothing is erected, placed, planted or allowed to grow in such a manner as to limit or obstruct the sight distance of motorists entering or leaving the intersection.